Design Council - Design Bugs Out! Back in 1990, aged just 18, I can still clearly remember using four software packages. There was Aldus PageMaker and Freehand, an animation package called swivel and then there was Adobe Photoshop. Since then, Adobe Photoshop has been a good friend of mine. Its been with me throughout my design career. In 2013 I was interviewed for Advanced Photoshop Magazine and over the past two years (2013/14) I have been a mentor for the Icograda endorsed Adobe Design Achievement Awards. Without doubt, Photoshop and Illustrator are my two favourite software packages. They have allowed me to create almost all of my portfolio of work. 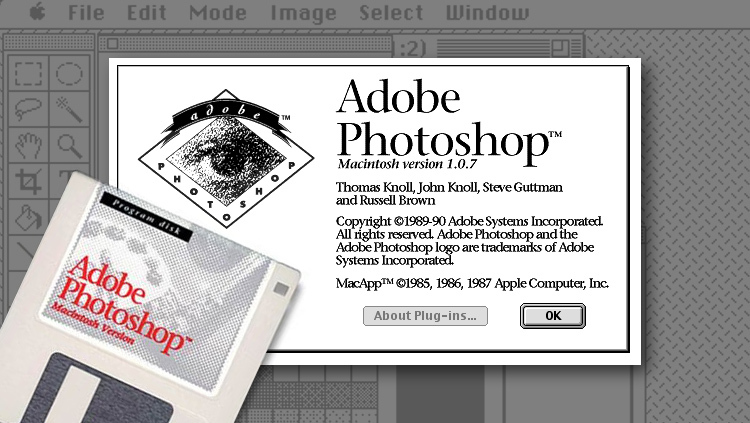 To celebrate Photoshop turning 25 years old, eight of today's experts were asked to use 1990's version 1.0. The clip below shows the hilarious results as each of the experts try to get to grips with how limited the first version is in comparison to today's Creative Cloud version. Surprisingly though, the first version of the software had levels, however there were no layers or multiple redo's. I hope that you enjoyed the clip as much as I did. A very happy birthday Photoshop. Here’s to another 25 years my old friend!